(Natural News) It seems New York State has been spending its annual budget on everything but infrastructure. Though infrastructure is one of the most elemental responsibilities, in lieu of patching up crumbling bridges or potholes littering the streets, Buffalo teachers and their families now get free plastic surgery included in their contracts, News Day reported. Furthermore, New York just passed a law to give free college tuition to hundreds of thousands of students from middle-class families, and a huge percentage of LIRR retirees are receiving disability payments in addition to their pensions. But what about the safety of New York’s citizens? The longer repairs are delayed, the more expensive they become. No matter how big the issue, the nation’s aging, crumbling infrastructure has been dropped into a pigeonhole and filed away for too many years. Today, however, the dire condition of our nation’s infrastructure can no longer be ignored. Collapsed dams, crumbling bridges, derailed trains, and outdated schools are no longer an exception in the Big Apple. Not so long ago, a New York train derailment highlighted a $120 billion problem in America’s aging transportation system, and now stories about another derailment at Penn Station and subway trains being held together with zip ties are making the headlines. 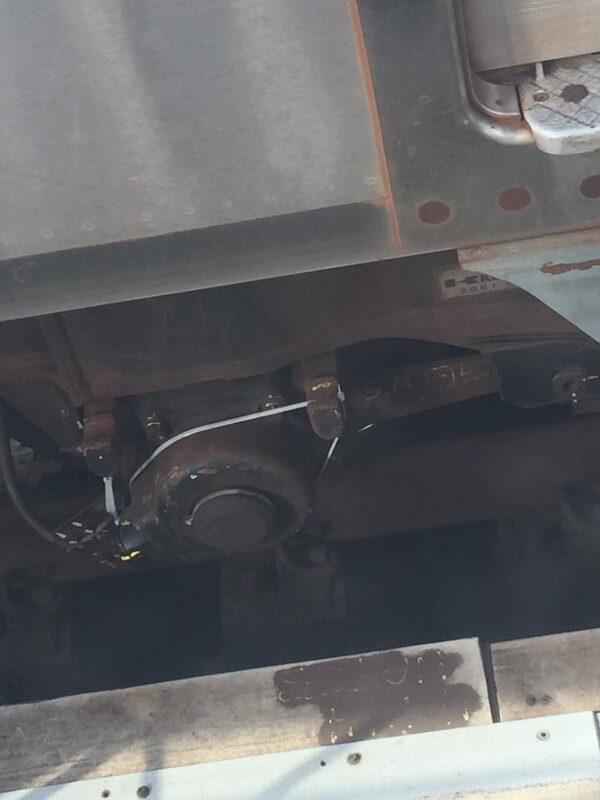 Just days before the most recent derailment in the Penn station, a straphanger noticed that parts of the car were fastened with zip ties. Zip ties to hold train parts together? How crazy and unsafe can it get? To add strength to her message MsJaya_B posted a picture to accompany her Twitter message. According to MTA spokeswoman, there is nothing to worry about. She said that the zip tie was being used as a temporary fastener to attach a cable to the new R186 cars while a special part is being made. Furthermore, she added that since the cable is attached another way, the zip tie is just a back-up. 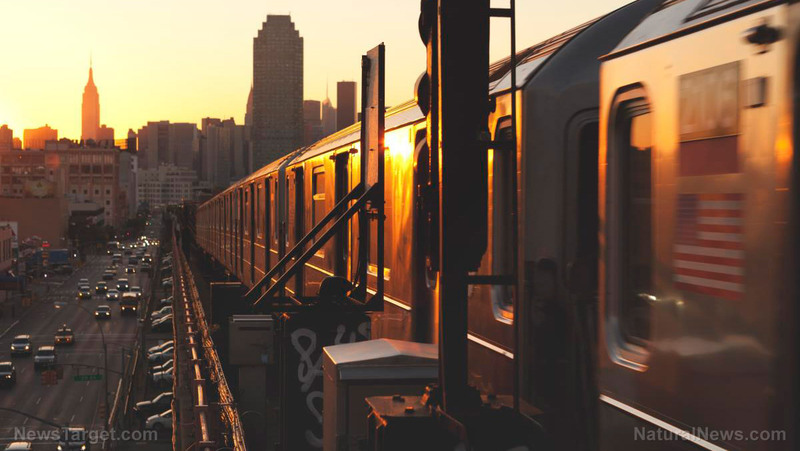 As New York City’s transportation infrastructure is collapsing, the government fails to act. How much worse can it get? Given the treacherous state of New York’s infrastructure, it is time to end the political neglect that allowed the decay to occur. Given the many potholes and cracks, it comes as no surprise that the city must pay millions of dollars each year to settle personal injury claims. Walking, driving, or commuting through the city has become a real danger. According to News Day, New York State has an annual budget of around $163 billion. That’s more than 50 million extra compared to Texas and Florida. Where is all that money going to? Not to New York’s infrastructure, that’s more than obvious. A few days after the latest derailment, New York Gov. Andrew Cuomo declared a state of emergency for the Metropolitan Transportation Authority (MTA). Cuomo has called the recent events a “heart attack” that happened after years of cholesterol buildup. Next to declaring the MTA state of emergency, Cuomo is adding $1 billion to the MTA capital plan for next year.